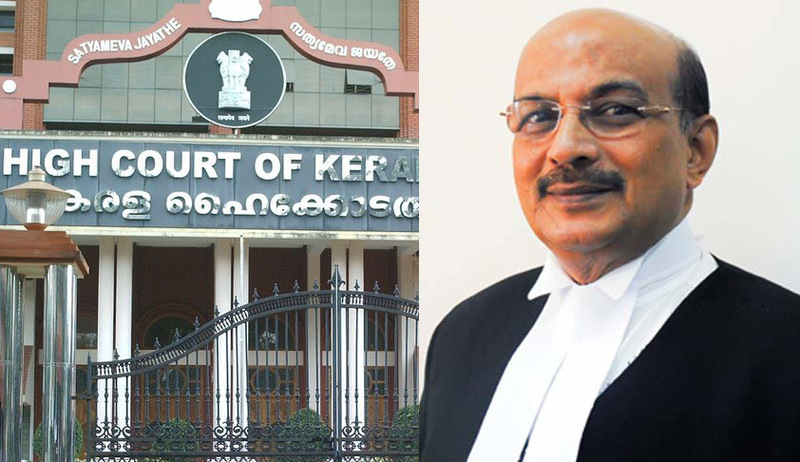 A Lawyer of Kerala High Court sends a legal notice to Advocate General KP Dandapani alleging that he has been defamed by the AG when he moved a resolution in support of Justice Alexander Thomas. Advocate J S Ajith Kumar, has demanded a compensation of Rs 50 Lakh.In addition to that, the lawyer demands that the "unfounded and malicious and defamatory" allegations should be immediately withdrawn and an unconditional apology should be given in writing to him.The notice sent under instructions from Adv. J S Ajith Kumar, digs into the past of the Advocate General. The notice also contains serious allegations against AG’s family also. A defamation suit will be filed before a criminal court if the defamatory allegations are not withdrawn and the compensation is not paid within 10 days, the legal notice stated. In response to this notice, the Advocate General had written to President of the Bar Association that the proposed resolution is baseless as there hasn’t been any attempt on his part or that of his family members to change the jurisdiction of the judge. Demanding that the resolution must be “nipped at the bud itself”, the AG had claimed that the resolution amounts to criminal contempt of court. The KHCAA had rejected the request made by AG. In the letter, the AG had stated that the resolution was moved by the lawyer due to professional animosity to his son for having conducted cases against him. Ajith Kumar, in his legal notice says that such a statement was made solely to defame him and lower him in the estimation of all those who reads the letter.